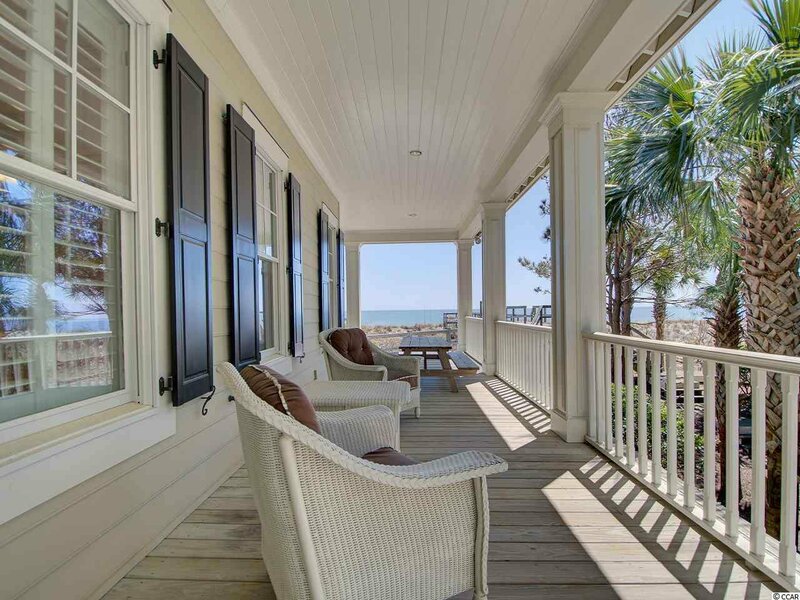 Masterfully crafted and elegantly appointed, this oceanfront gem is one of a kind in the prestigious gated community of Prince George. 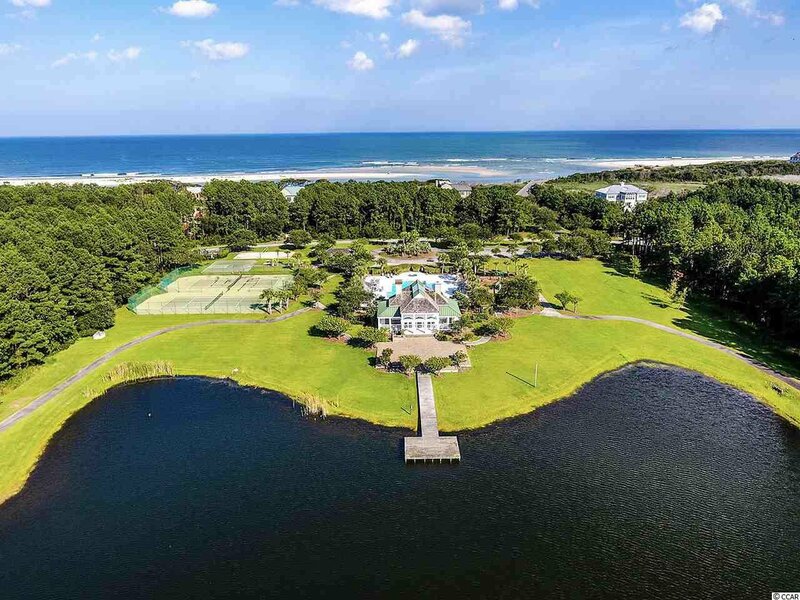 Spanning the distance from the Atlantic Ocean to the Intracoastal Waterway, Prince George is one of the most sought after communities on the East Coast. 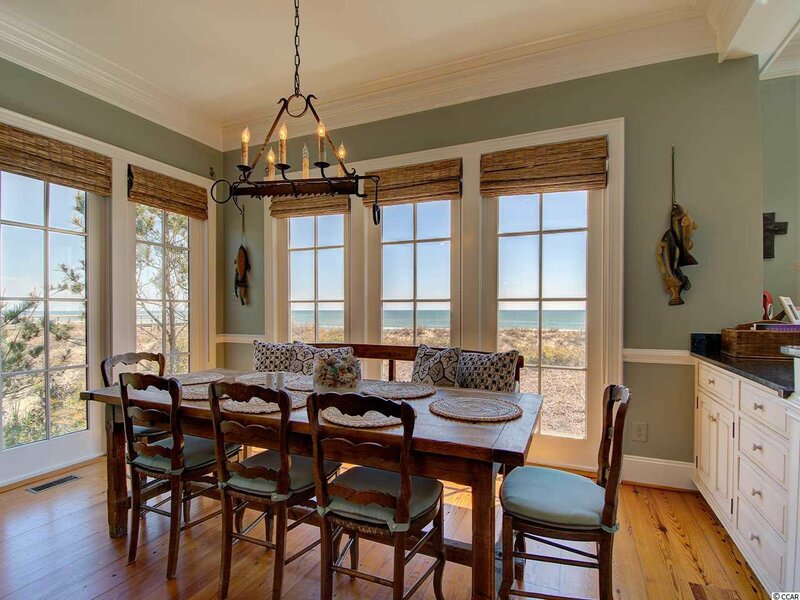 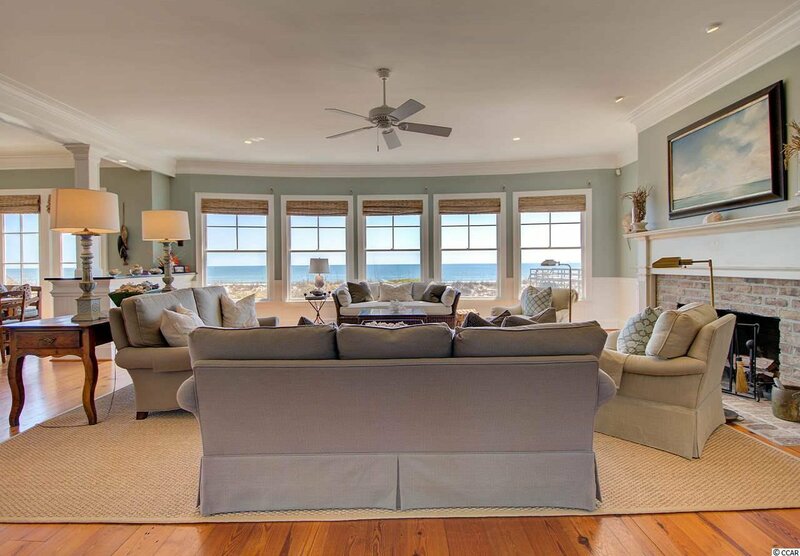 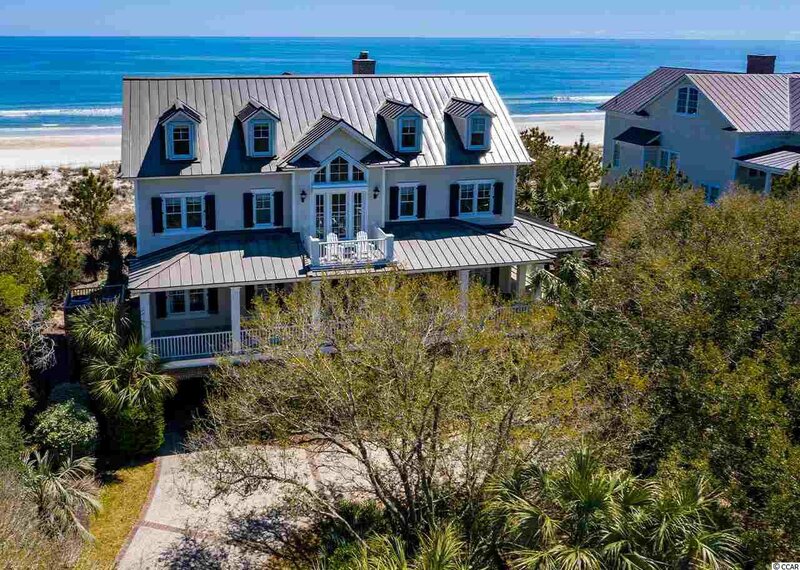 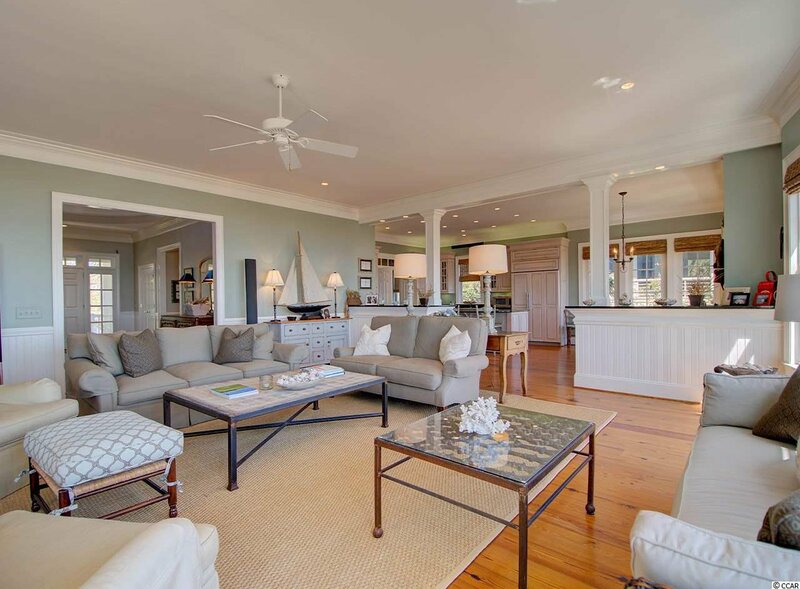 The timeless appeal of low country living is evidenced by endless ocean and marsh views from almost every room in this home. 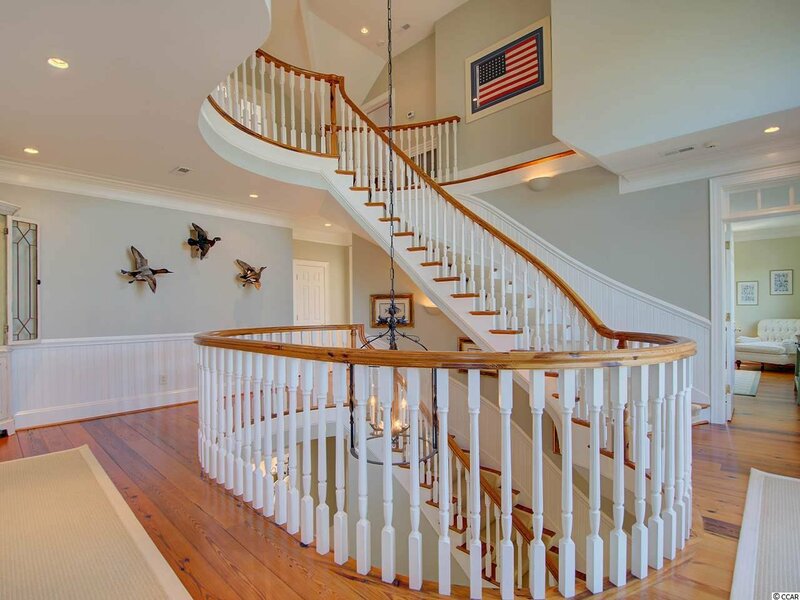 An elegant curved three-story stairway graces the grand foyer. 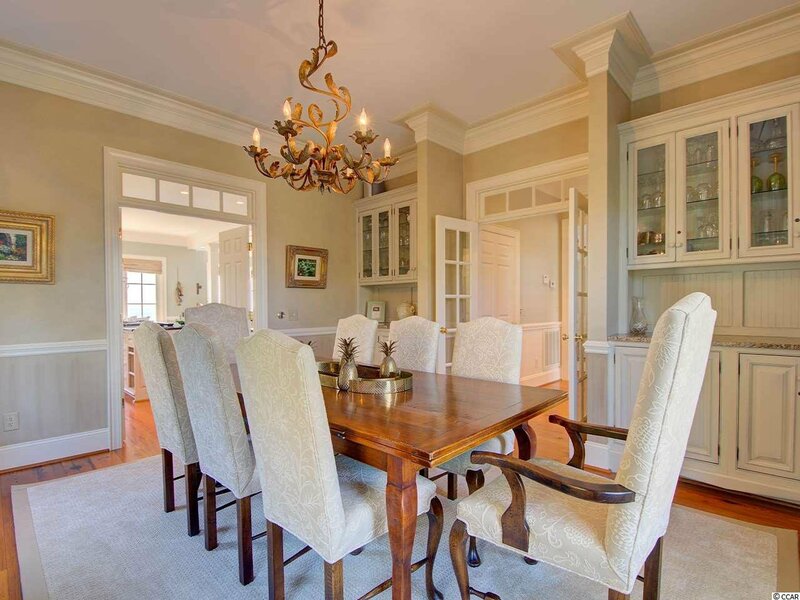 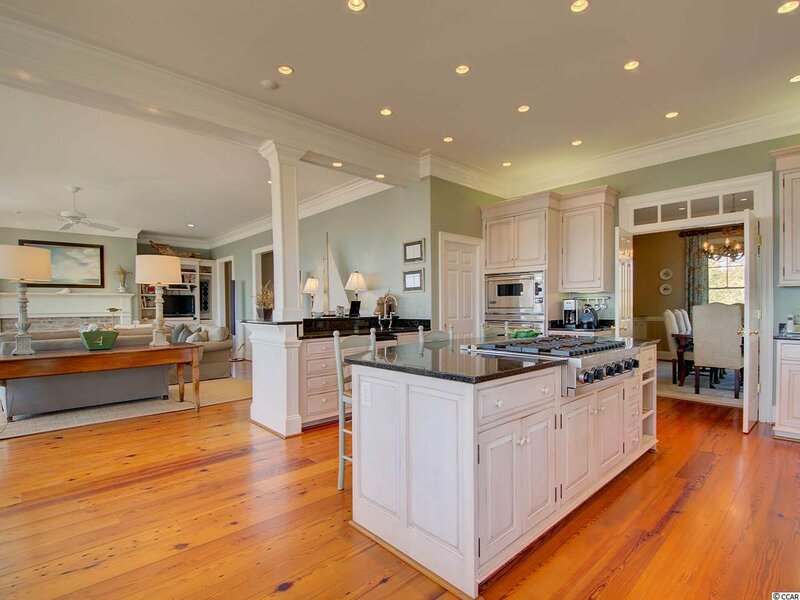 Seven bedrooms with en-suite baths, chef's kitchen equipped with Viking appliances and a formal dining room are outstanding features of this home. 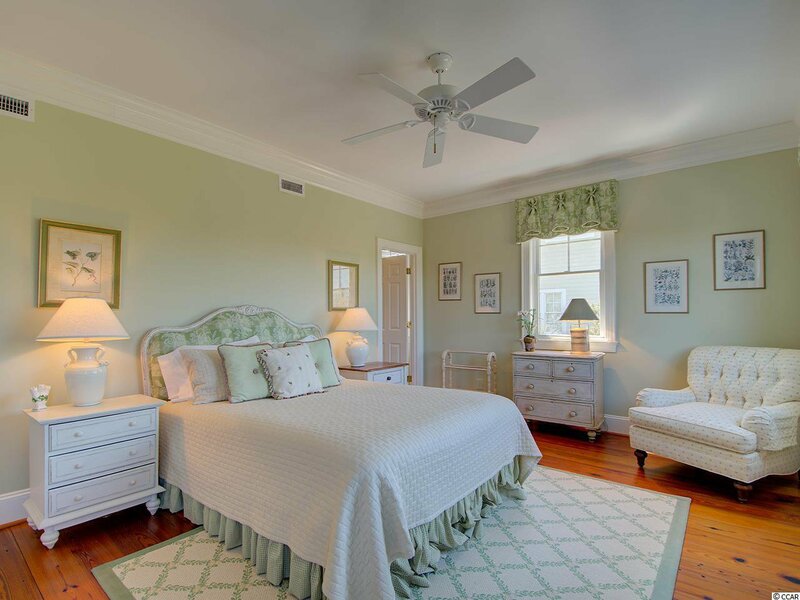 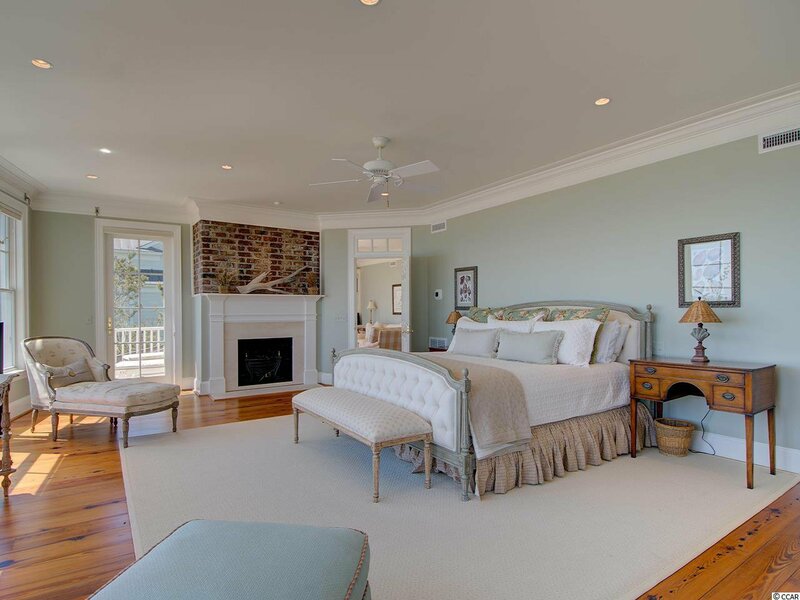 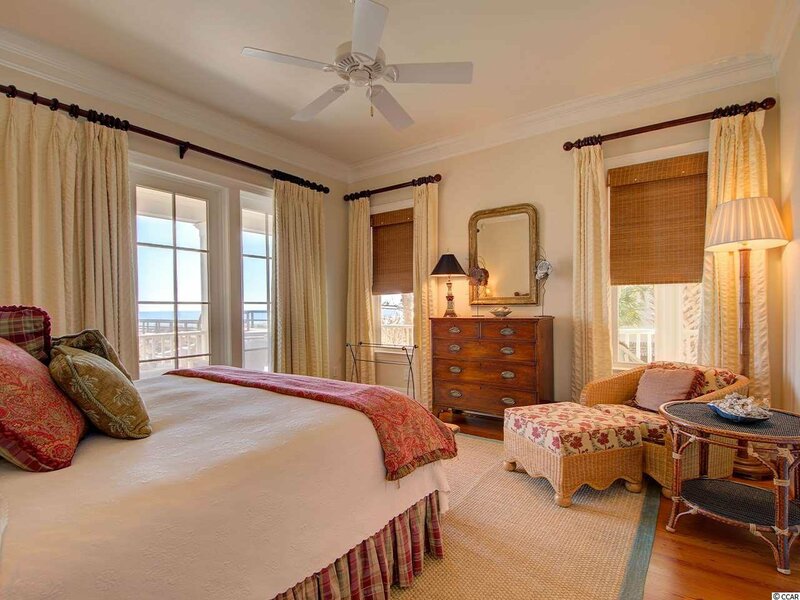 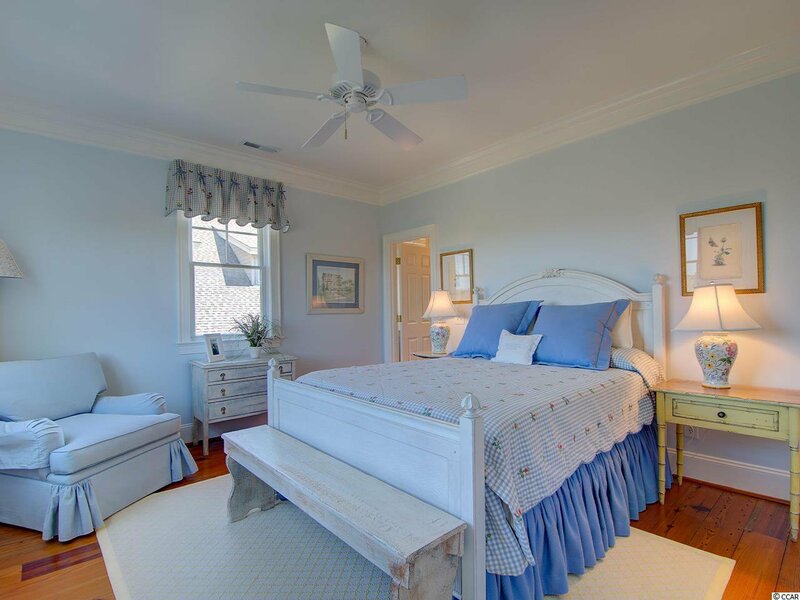 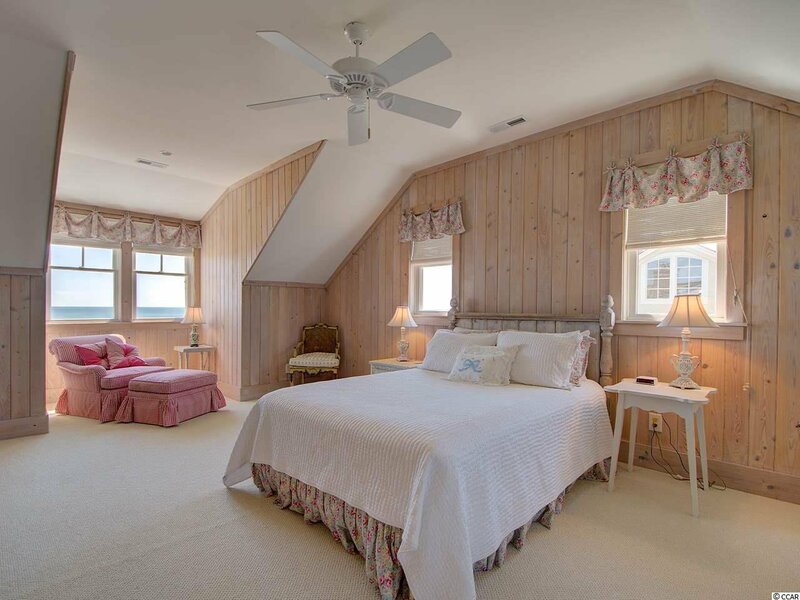 The master suite offers its own sitting room and luxurious bath. 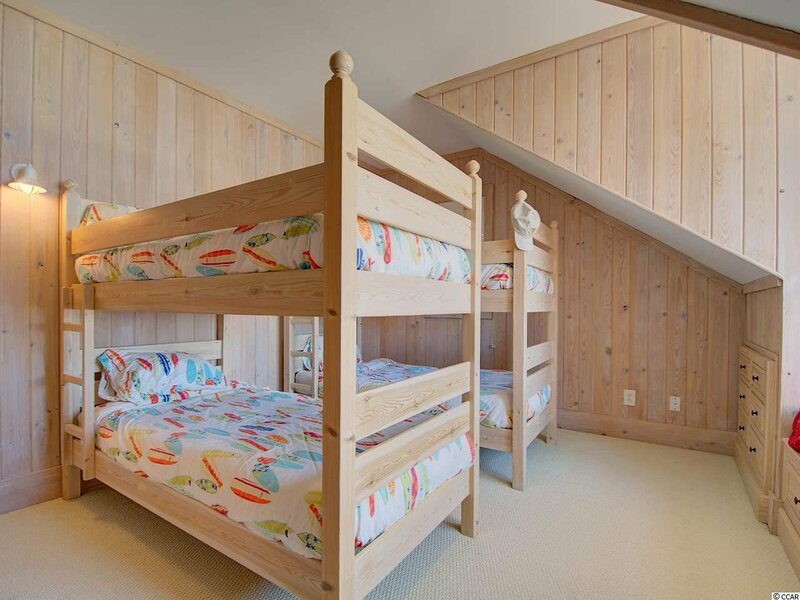 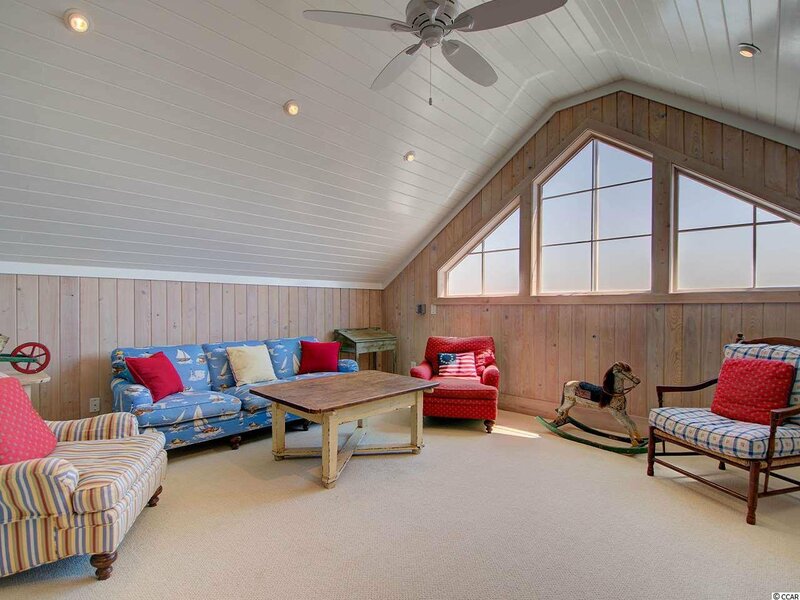 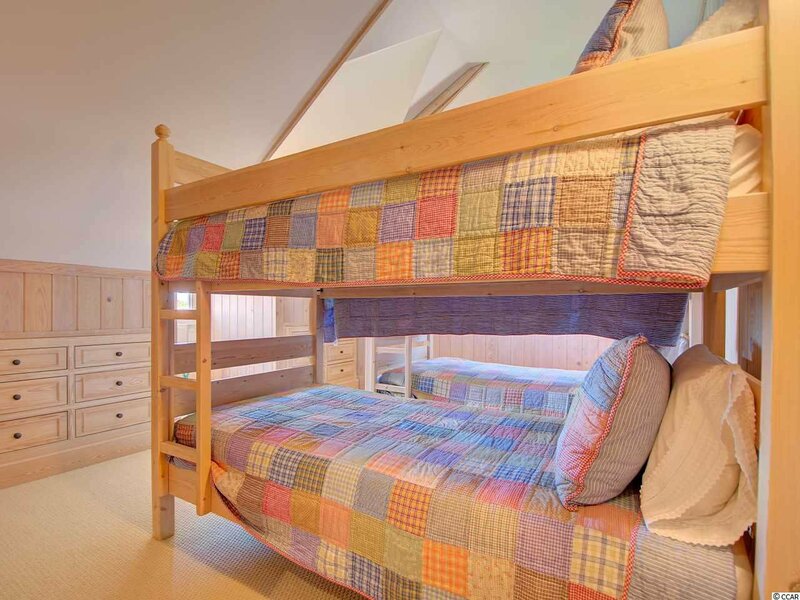 A family room on the third level provides additional space for guests and family. 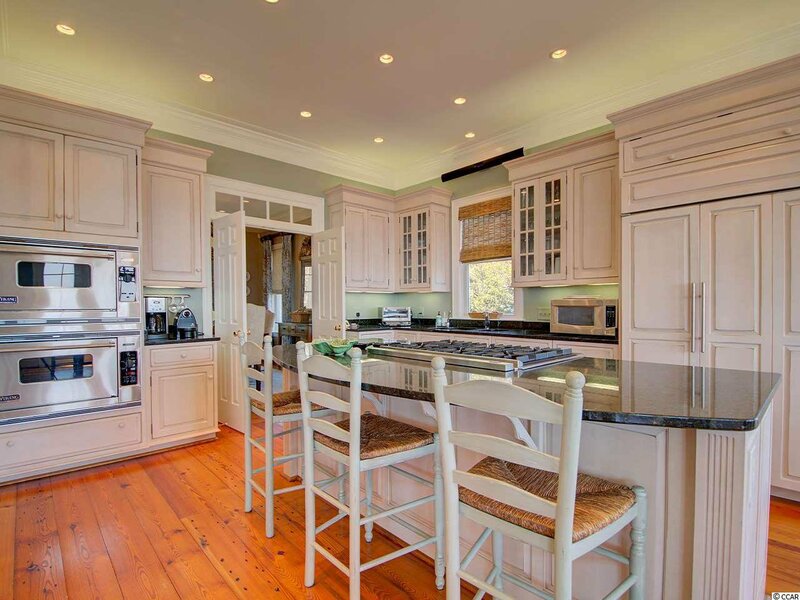 No detail has been overlooked and is further exemplified by the Danish Bang and Olufsen sound system, custom cabinetry and reclaimed heart of pine floors. 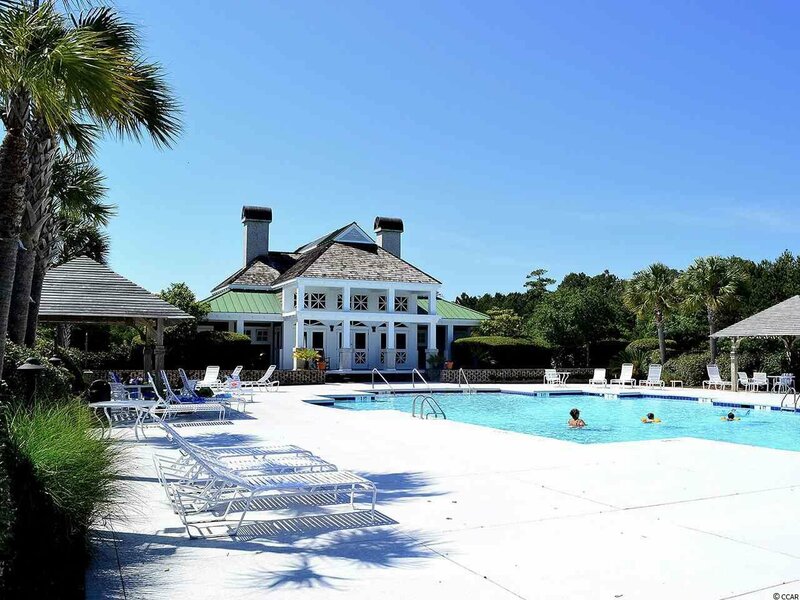 The Prince George community features a clubhouse, pool, tennis, basketball and volleyball courts, and private beach access. 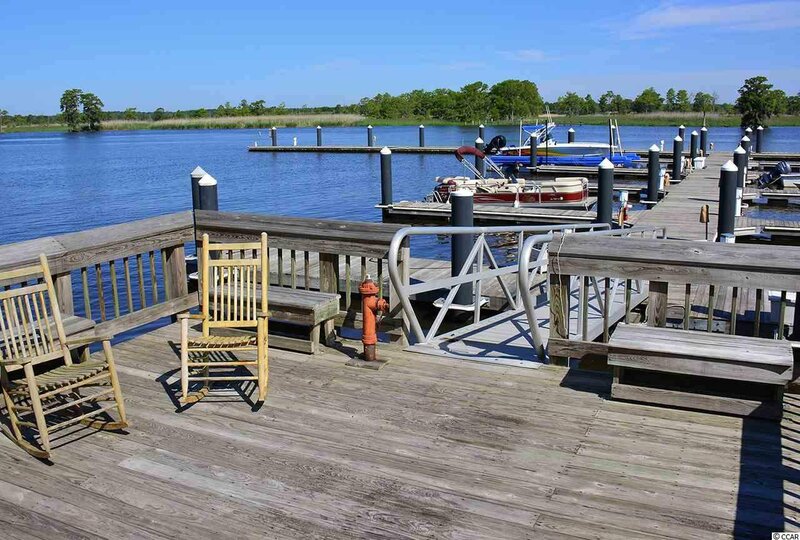 The riverside amenities include a clubhouse and marina for the enjoyment of property owners. 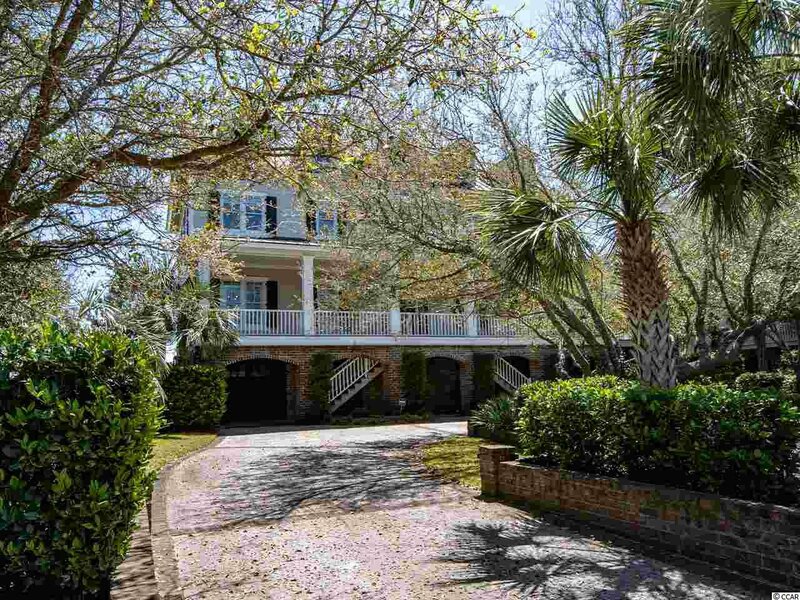 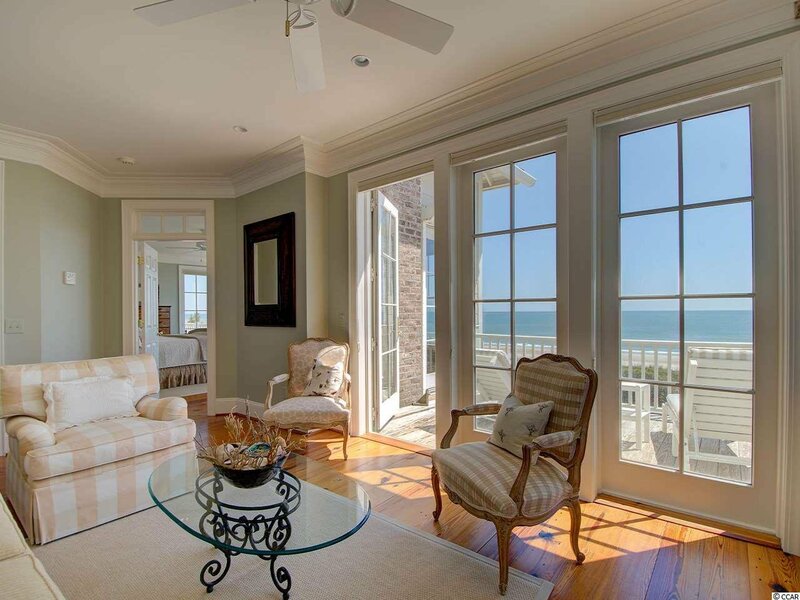 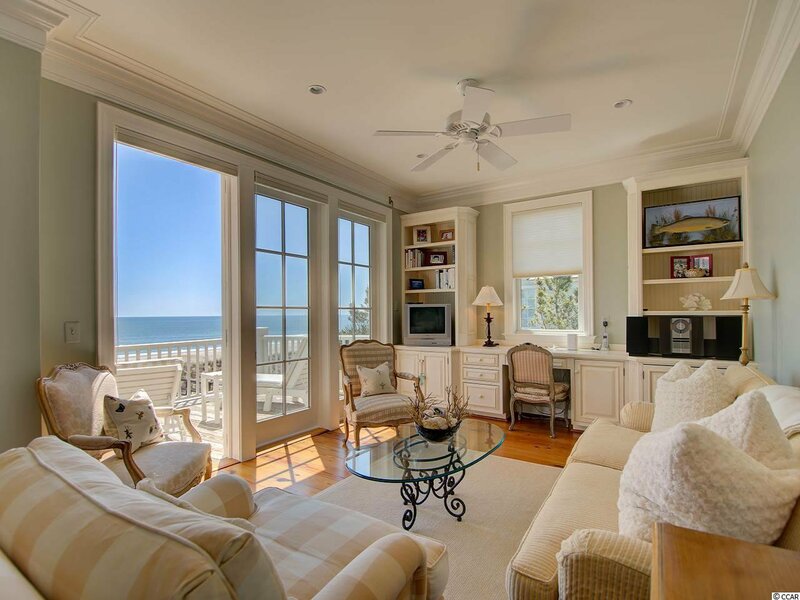 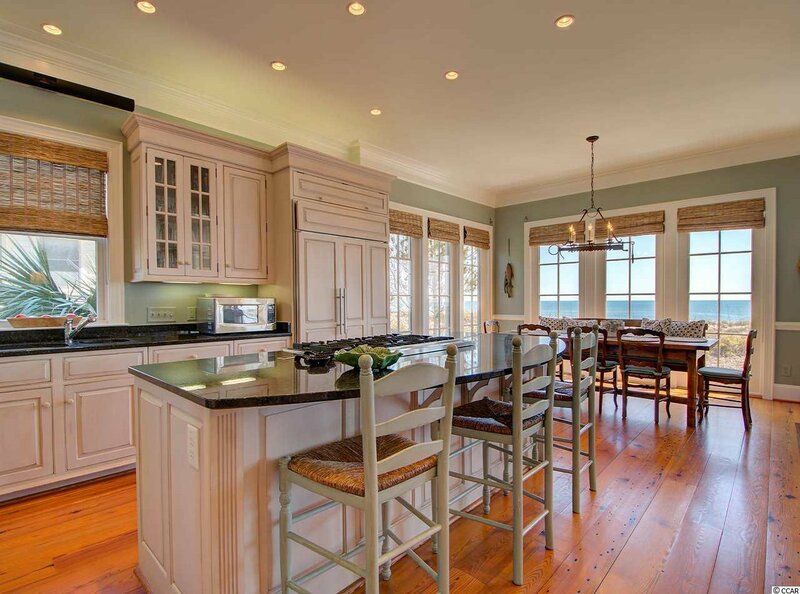 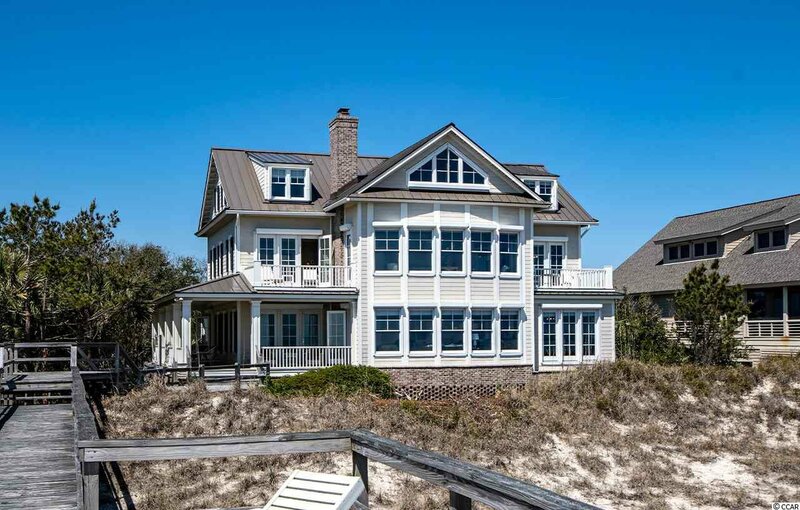 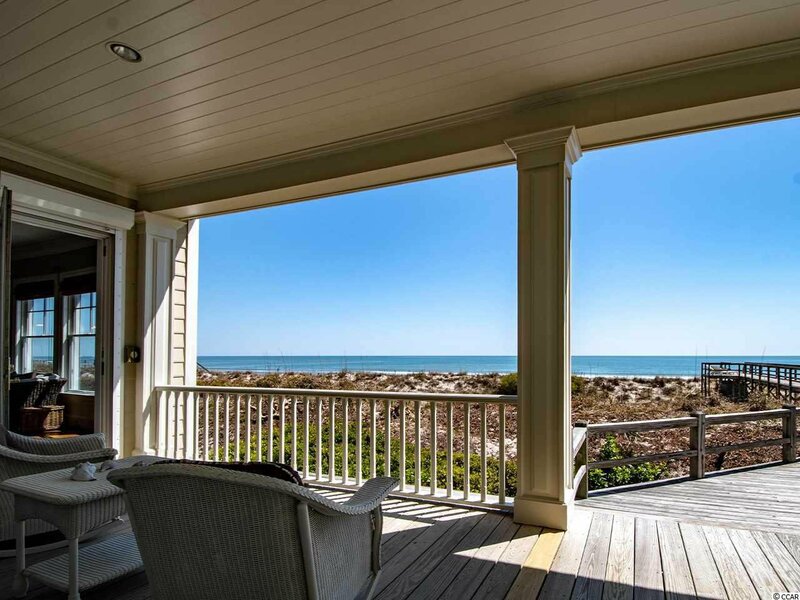 Pawleys Island is located just north of Charleston, South Carolina and south of Myrtle Beach, South Carolina. 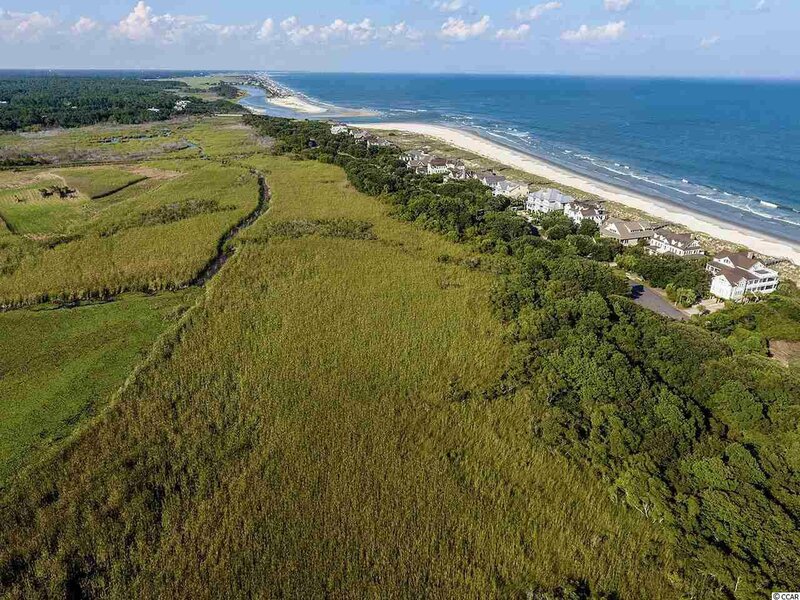 An international airport is located in Charleston and Myrtle Beach. 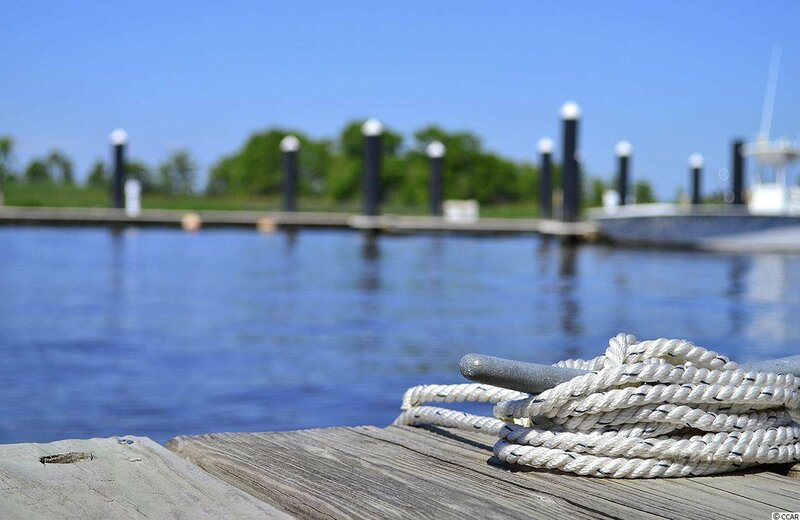 Georgetown County Airport is approximately 20 minutes away with a 6000' runway that will accommodate private planes and charters.